The ‘gig economy’ is coming. What will it mean for work? ...it is clear we must rethink the provision of our safety net, decoupling it from salaried jobs and making it more readily available to independent workers. Not so long ago, the only people who looked for “gigs” were musicians. For the rest of us, once we outgrew our school dreams of rock stardom, we found “real” jobs that paid us a fixed salary every month, allowed us to take paid holidays and formed the basis for planning a stable future. Today, more and more of us choose, instead, to make our living working gigs rather than full time. To the optimists, it promises a future of empowered entrepreneurs and boundless innovation. To the naysayers, it portends a dystopian future of disenfranchised workers hunting for their next wedge of piecework. Read the full article as published in The Guardian. 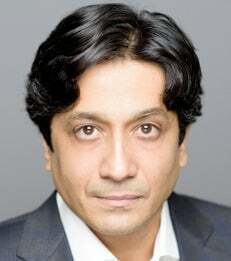 Arun Sundararajan is a Professor of Information, Operations and Management Sciences, NEC Faculty Fellow, and Doctoral Coordinator of IOMS-Information Systems.